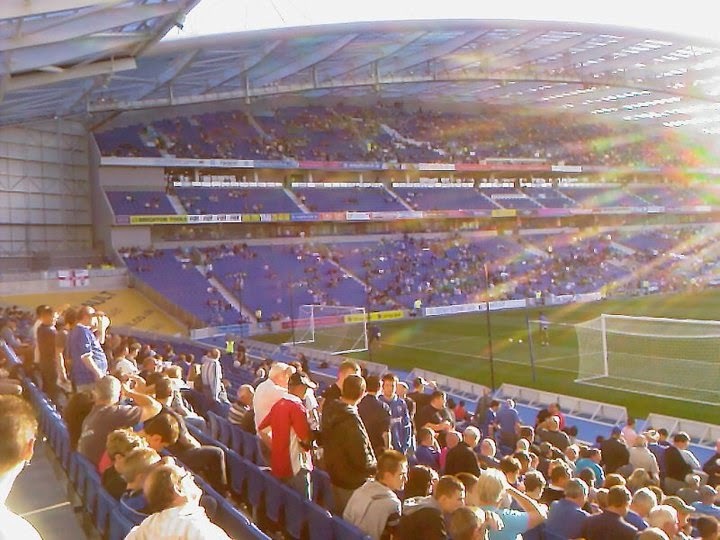 Last match I went to see: Brighton & Hove Albion 1-0 Gillingham, Tuesday 9th August 2011, League Cup. 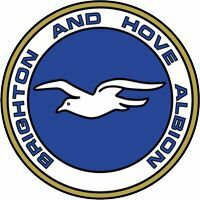 Brighton & Hove Albion were formed in 1901. 20 years later they were elected to the Football League's new 3rd Division having been members of the Southern League. In 1910, the club won it's 1st major trophy by winning the Southern League, winning the title on 59 points from 42 games. They beat Swindon Town to the title by 5 points. 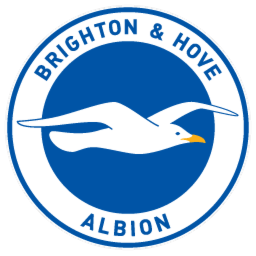 The club are nicknamed The Seagulls or just Albion. They are known by The Seagulls because in the 1974/75 season, the club were known at The Dolphins and a new crest for the following season was introduced. A match with fierce rivals Crystal Palace, both sets of supporters were chanting "Eagles!" "Eagles!" "Eagles!" 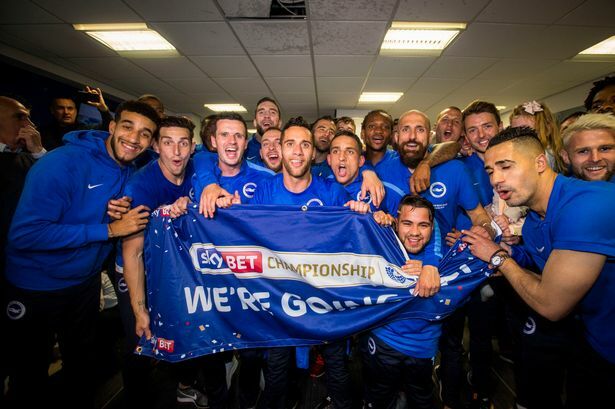 with Albion fans singing "Seagulls!" "Seagulls!" "Seagulls!" and that's how the nickname occurred. 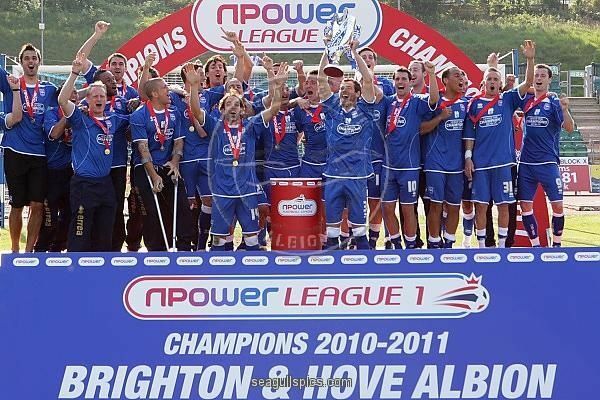 As mentioned, Brighton's main rivals are Crystal Palace. Despite the 2 clubs being 40 miles apart, the rivalry began in 1920 and the 2 clubs have been fierce rivals ever since. 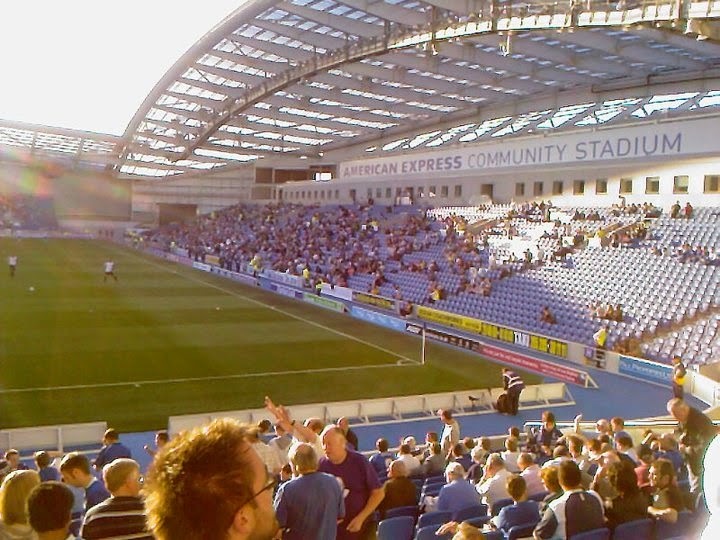 Before Falmer, the club had previously played at 3 grounds. The club played at The Goldstone Ground from 1901 to 1997. 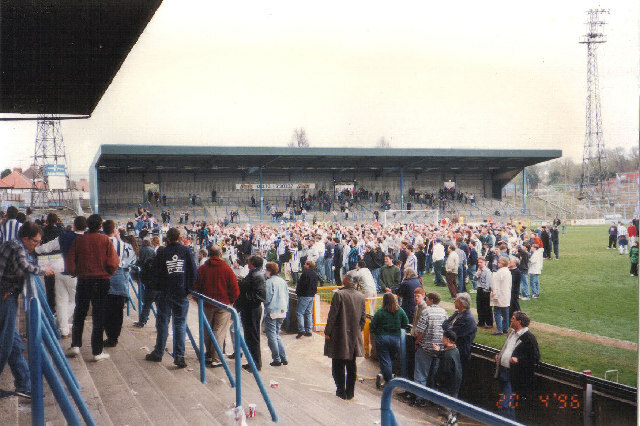 The club then groundshared with Gillingham my team for 2 seasons between 1997 and 1999. The club then moved to the Withdean Stadium from 1999-2011 before moving to Falmer in July 2011. 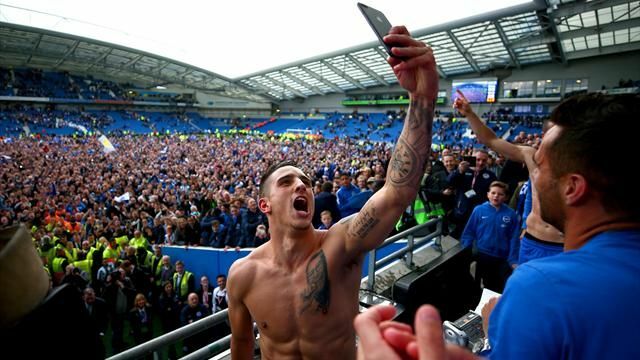 Famous Brighton fans include DJ Fatboy Slim, otherwise known as Norman Cook, Des Lynham, Michael Fish, Jamie Theakston and others. 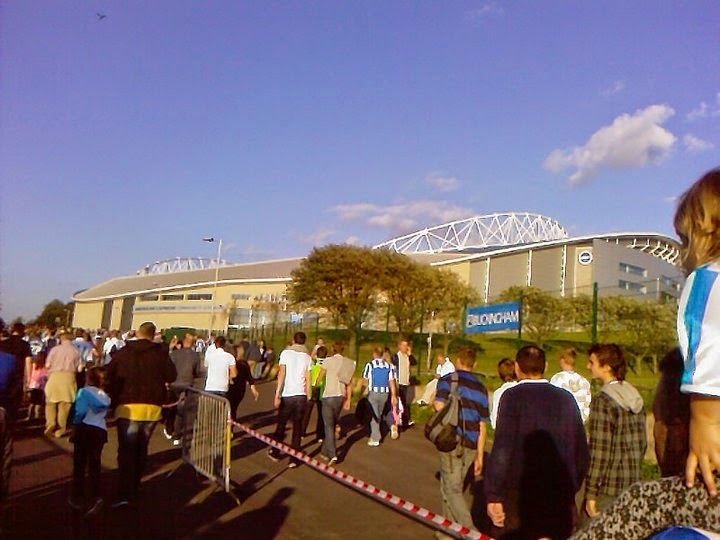 My only visit of the American Express Community Stadium was back in 2011, Brighton's first evening game in the cup against us where it finished 1-0 to Brighton. 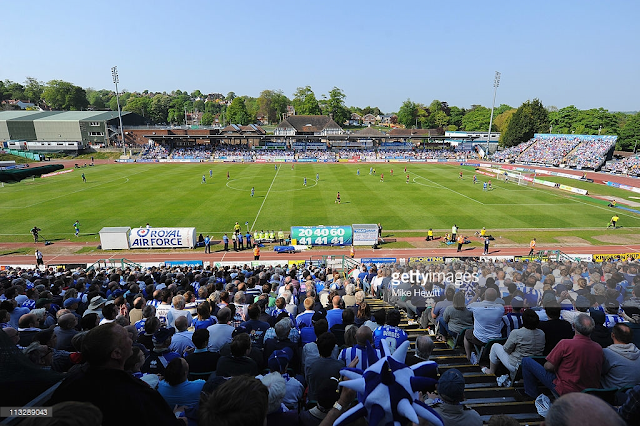 I had previously visited their old ground, The Withdean, and that was an absolute hellhole, but wow. 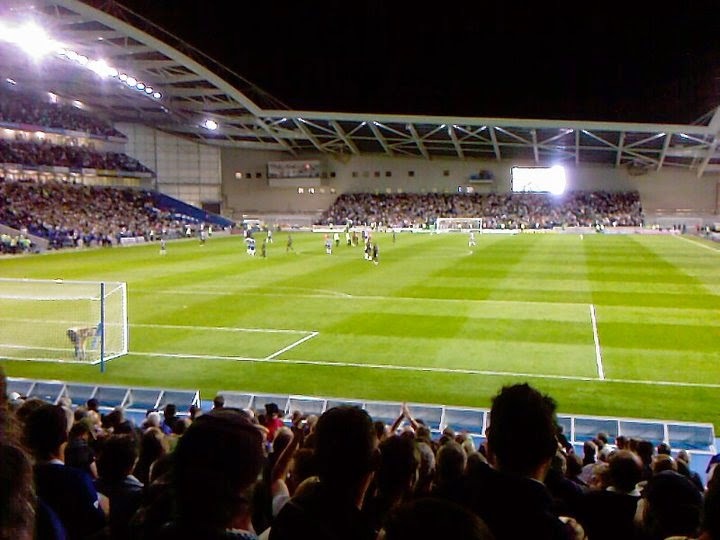 Brighton's new ground at this point is a really lovely ground to visit, and fair play to them, it's what Brighton fans were hoping for and they've finally got it. 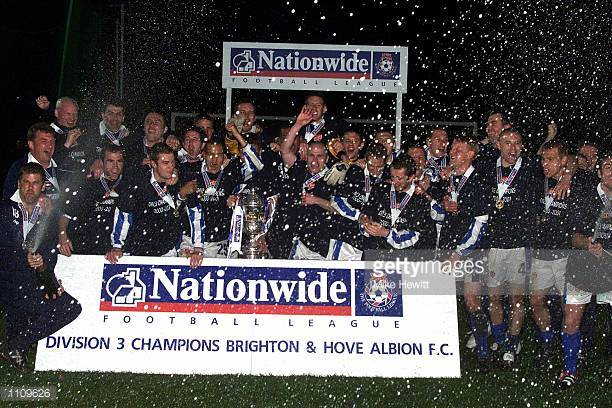 What I remember from that night was getting a lift with my old man to Hastings and parked the car and got the train to Falmer station where the ground is situated right next door to the station. After the game at that point was an absolute nightmare to get back as it was packed at this point but since then I've heard it has got a lot better from then. Nearest station is of course, Falmer which is situated next door to the ground.